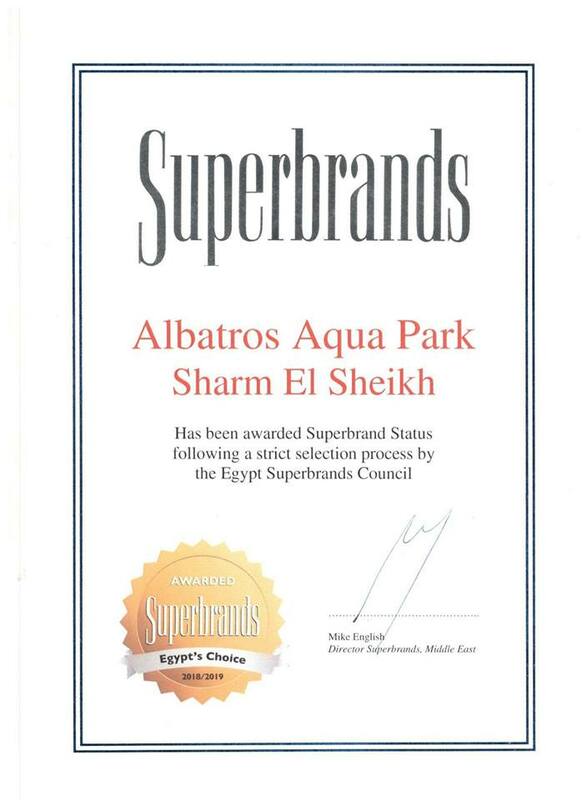 Albatros Aqua Park Sharm has been voted by the superbrands council and over 2,500 Marketing Professionals in Egypt as a superbrand for 2018/2019. 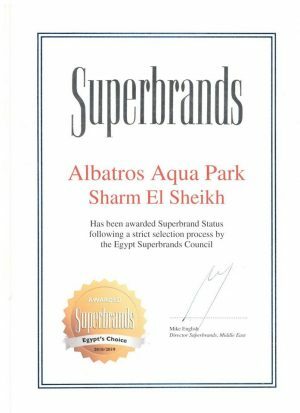 Superbrands is widely recognized as the worldwide independent authority and arbiter of branding excellence, which operates in 85 countries globally. Its annual branding awards programme selects elite brands in all categories nationwide before being shortlisted. A judgingpanel of Superbrands Council members and brand management representatives then choose the winning brands that meet the strict Superbrand criteria.